There’s a lot of lawn equipment that’s great to have on hand, but the jobs they do are limited to a few days or even a few hours per year. Buying a piece of equipment for each task means having more to take care of, and often forces you to sacrifice quality to keep costs down. However, you can get around these problems with Honda’s Versattach System. While lawn multitools are nothing new, Honda’s collection of powerheads and attachments get around the pitfalls of other systems, giving you an affordable way to get Honda reliability for your less frequent landscaping jobs. 2. Turn set pin knob 180 degrees. 3. Line up the arrows on the powerhead and the attachment, and slide the attachment into the powerhead shaft until the arrows meet. 4. Turn the set pin knob. If it clicks, the attachment is seated. 5. Tighten the joint knob. Once that’s done, you can be 100% sure the powerhead can drive the attachment and the attachment won’t work loose. Attachments are driven by a powerhead. This unit has an engine, throttle control and a short shaft with a SureLock connector. The difference between the two powerheads comes down to engines: the UMC425 uses a GX25, while the UMC435 has a more powerful GX35. 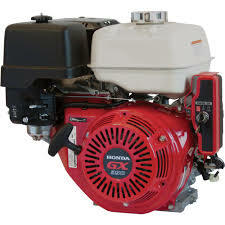 Both engines are Honda Mini 4 Strokes. They can be used in any position like a two-stroke, but they don’t need mixed gas, are easier to start and have a wider powerband. 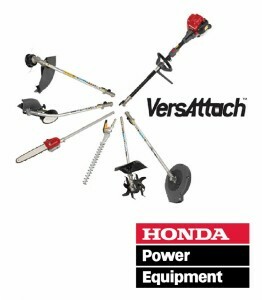 Honda offers 6 attachments to cover lawn care jobs that would normally require rarely-used specialty equipment. Trimmer: This string trimmer uses a two-line bump feed head and cuts a 16.5-inch wide swath. 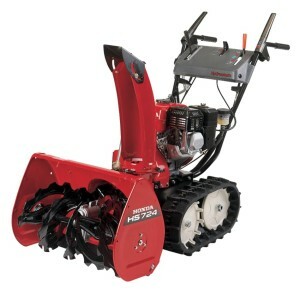 It can also be used with an optional three tooth grass blade for heavy brush, or use a variety of aftermarket heads by installing an adapter. Hedge Trimmer: This attachment comes with a double-sided reciprocating blade that is 21.6 inches long. A joint at the end of the shaft allows the blade to be tilted a total of 108 degrees in 18-degree increments so you can get the perfect cut while maintaining a comfortable hand position. The trimmer is available with either a 5.3 inch or 25-inch shaft. 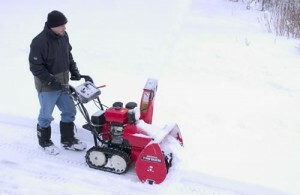 Edger: This attachment uses a standard 9 x 2-inch blade to cut clean edges around pavement and landscape transitions. A metal anti-wear strip protects the gearbox, while a wrap-around blade guard shields the operator from debris. Cultivator: This mini tiller attachment has tines that are 9.4 inches in diameter and cut a path that’s 6.5 inches wide. With the engine at full throttle, the tines spin at 233 rpm. Pruner: A 12-inch bar makes quick work of branches, while the 25-inch shaft gives you enough reach for most bushes and small trees. The oil reservoir is translucent, making it easy to check the level and keep the chain lubricated. Blower: A long shaft, compact fan, and narrow exit make this attachment perfect for skimming across the ground, blowing up loose debris or lifting up layers of wet, matted leaves. Maximum output will vary depending on your powerhead: the UMC425 can drive this attachment to a maximum of 184 mph and 235 CFM, while UMC435 can drive it to a maximum of 235 mph and 250 CFM. Extensions: Available in 19 and 39 inches, these extensions give you more reach when hedge trimming or pruning. 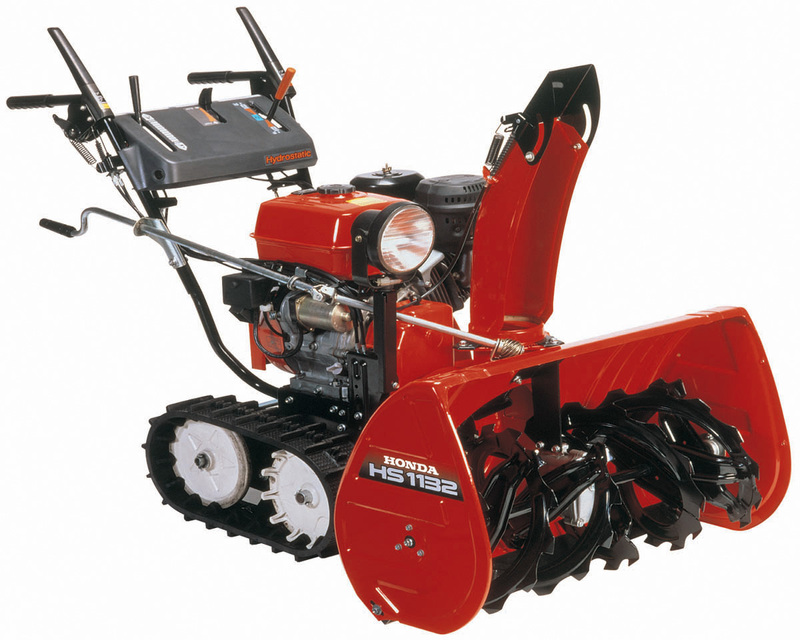 Honda guarantees the powerheads, engines, and attachments for 36 months of residential use or 24 months of commercial use. Need Something for Your Honda Equipment? Hondalawnparts.com is more than a website: we’re a certified Honda Engines and Honda Power Equipment dealer, so we’re able to offer the same OEM parts and accessories you get at brick and mortar dealers. Better still, we have most items in stock and we ship across the U.S. and Canada. Our website can show you factory parts diagrams and descriptions specific to your model, making it easy to find just what you’re looking for. The high temperatures and low rainfall of midsummer are hard on your lawn, which makes it important to do what you can during this stressful period and before winter hibernation. While you may need to rent some specialty devices, the Honda equipment you already own can aid and sometimes replace these devices when preparing your lawn for fall. Foot traffic and construction can compact the soil over time, which can keep oxygen and water from reaching the root system. A coring aerator gets the best results since it removes compacted soil instead of pushing it to break it up. The cores left behind can be chopped up by your mower, but this is hard on the blade, so it will need to be sharpened before you next mow. If the thatch layer, the dead material on the surface of the soil, is over a half inch thick, it should be removed using a dethatching rake or power dethatcher. This loosened thatch can then be mowed and bagged for disposal. Mulching the grass can reduce thatch buildup by keeping the microorganisms in the top layer of the soil well fed so they be able to tackle woodier plant material. Fertilizing starts with your mower: mulching breaks down the grass into small pieces that are easy for microorganisms to digest, returning nutrients to the soil. 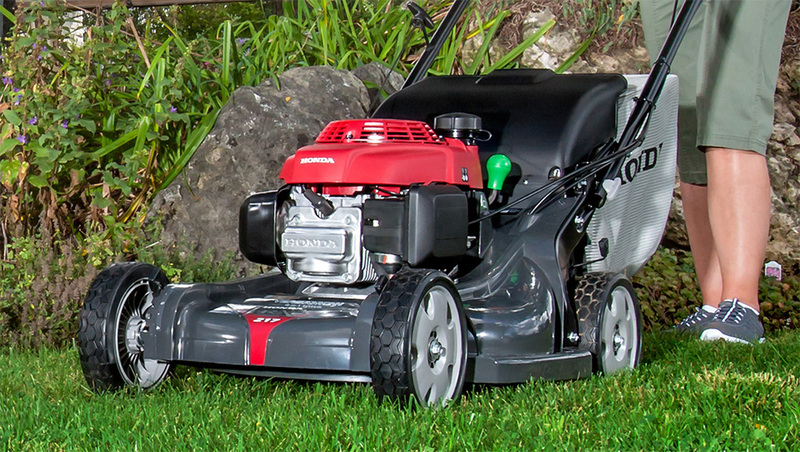 By using a mower with Honda’s Twin Blade system, you can even mulch when the grass is wet for maximum nutrient recovery. There are plenty of specially blended fall fertilizers on the market, but before you start the application, you need to have the soil tested to make sure you’re feeding your lawn what it needs. 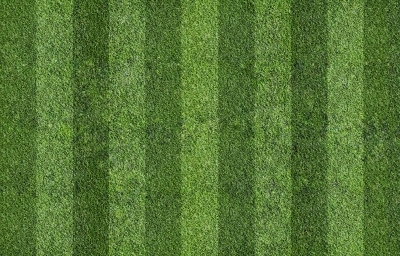 After application, the lawn can be mowed after granular fertilizers have been applied after watering, while liquid fertilizers should be allowed to dry for 24 hours. In the late summer and early fall, broadleaf plants like dandelions are preparing for winter by transferring carbohydrates to their roots. By applying herbicides during this period, these poisons will be drawn into the roots, killing the entire plant. Have a grub problem? Now is the time to apply an insecticide to stop their growth. Once the soil preparation is finished, it’s time to overseed any bald spots so they can take root and get ready for the winter. Mowing the grass at your mower’s lowest height and bagging the clippings will help the seeds get maximum contact with the soil, and it will help the new grass grow along with the old, evening out your lawn. Late summer is the perfect time to trim shrubs and bushes, and with Honda’s VersAttach pruner and hedge trimmer, you can have all the tools you need to get the job done quickly. If you’re dealing with an old or overgrown shrub, cutting back a third of the oldest, thickest branches will encourage the growth of new stems from the root of the plant. Once the shrub is at the right height, cut the top off after it’s had a chance to grow another 6-8 inches. Shaping the plant so that the base is wider than the bottom will increase sunlight exposure. Tall grass helps retain moisture at the peak of summer temperatures, but it’s also a good idea to keep the turf layer thick into early fall to push out weeds, make it harder for grubs to hatch and more easily identify areas that need to be seeded. Most grass varieties should be kept at a height of two to three inches for optimum coverage. Unless you’re overseeding, never remove more than 1/3 of the grass at one time: this helps the grass recover faster. 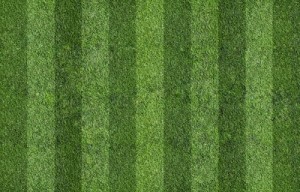 After mowing, check the grass for tearing at the tips, which indicates a dull mower blade. Using your string trimmer or brush cutter, you can create narrow trenches around landscaping features and between the lawn and paved areas. The resulting borders help features stand out, and they can halt the ingress of plant roots into your sidewalks and driveway. Doing this in the fall will help these borders survive the winter, making it easy to re-establish gardens and thick mulched areas underneath trees next spring. 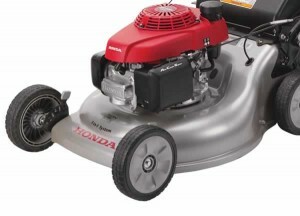 Hondalawnparts.com is a certified Honda Power Equipment and Small Engines dealer, so we carry everything you need to keep your lawn care equipment working. Our site has built-in parts diagrams to make it easy to find what you need, and we can ship those parts anywhere in the U.S. and Canada. 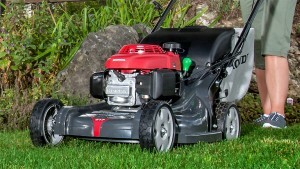 Having problems with your Honda HRR216PKA mower? It might be the fuel: it’s the most overlooked part of maintaining small engine equipment, yet it’s also the source of the most common problems. Here’s what you need to know to maintain the fuel system on your Honda from day-to-day operation to long term storage. The engine in the HRR216PKA is designed to use automotive unleaded gasoline. This fuel should contain no more than 10% ethanol (E10.) Why? Ethanol is very hygroscopic, which means it absorbs water. Fuel with higher concentrations of alcohol will gather water from the air at a rate that can make the fuel hard to ignite. Over time, this moisture can cause corrosion of the fuel system.